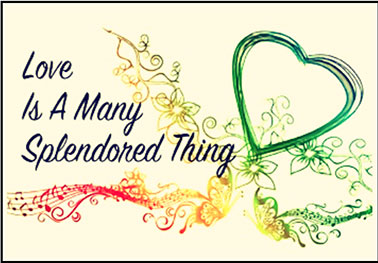 This year’s theme title is “Love is a Many Splendored Thing”. The individual artistic classes are named after Paul Webster’s lyrics of this classic 1955 movie’s theme song that won an Academy Award. The overall topic of the theme is that love is magniﬁcent, beautiful, and takes many forms. 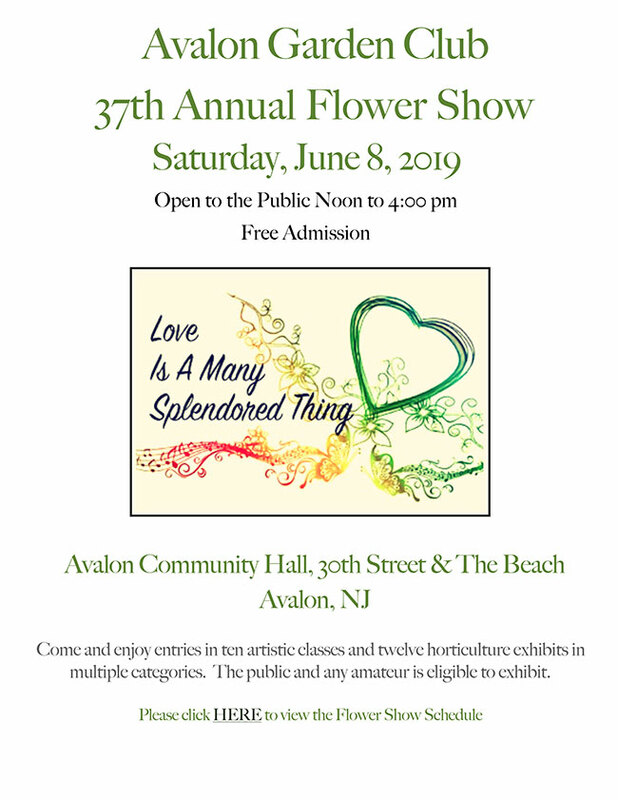 Avalon Garden Club welcomes the public and any amateur to exhibit. 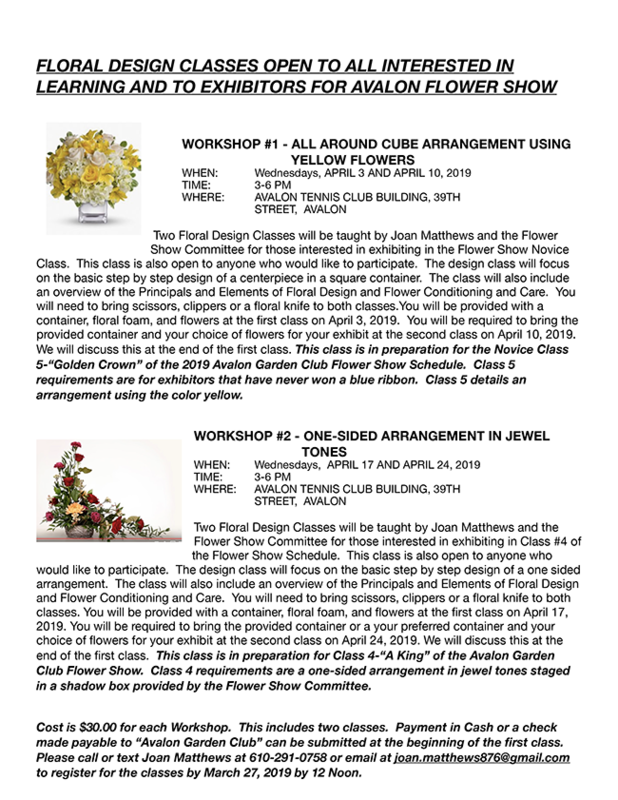 A schedule of artistic and horticultural classes, rules and information for those interested in entering is available by clicking and downloading the “Schedule”. You may also call Joan Matthews at 610-291-0758 for more information. You are encouraged to visit the show for a lovely and colorful way to begin the summer season.